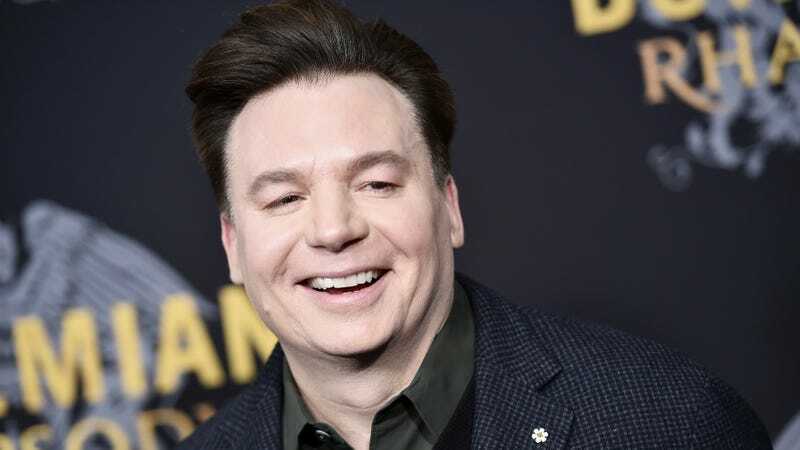 Mike Myers’ parodical comedy was enriched by chameleonic performances and a clever approach to blue humor once upon a time, but a combination of Shrek’s deadening bellows and The Love Guru’s phallic assaults ensured that not even Austin Powers could make us horny for more. As such, Myers has spent the majority of this decade out of the public eye, emerging only intermittently to direct a documentary, swing by Fallon, or cameo in films like Inglourious Basterds and Bohemian Rhapsody. He made a soft comeback as Tommy Maitland, the gregarious host of ABC’s The Gong Show, and now he’s ready to bring some new characters to Netflix. Variety reports that Myers has linked up with the streamer for six episodes of a half-hour series, which will be produced by Myers, as well as Austin Powers alum John Lyons and Jason Weinberg, an executive producer on The Gong Show. There’s not much information available, aside from the fact that Myers will play “multiple characters,” but we’re wondering if the series could be a vessel for Dr. Evil, the Austin Powers’ villain Myers has both resurrected and teased as of late. “I love creating characters, and Netflix has given me a fantastic playground to play in,” said Myers, pinky finger presumably hovering by his right dimple. Come, Mr. Bigglesworth, for Mike Myers says a new Austin Powers movie is "looking good"